One day I just got plain old tired of all the clutter on my dresser, so I designed this sweet valet. The “show” faces of the box are cut abutting each other from one blank of 1/2″ thick ash, and the adjoining corners are mitered. This makes the valet appear to have continuous grain. Take a look at the ash blank layout (see Valet Blank Layout) and it should become clear how it’s done. I couldn’t find a piece of ash wide enough for my blank, so I glued it up from well matched boards, and hid the glue joints under the brass inlay grooves. I use to think that smaller projects were easier it to build. Oh was I wrong! I’m now convinced that as a project gets smaller, the precision required goes up exponentially. That said, this is not a hard piece to build, but it does takes time and patience to get it all fit together precisely. I made enough goofs along the way to fill a book, and I learned that much too. You’ll benefit from my trial and error since I’ll tell you what worked for me, and a bit of what didn’t. Cutting the mitered and beveled edges accurately and safely presents a problem. I built a small parts mitering jig to solve this. It’s a table saw jig guided by a miter bar. T-tracks, hold downs, and stops secure and position the parts for consistent receptive cutting. 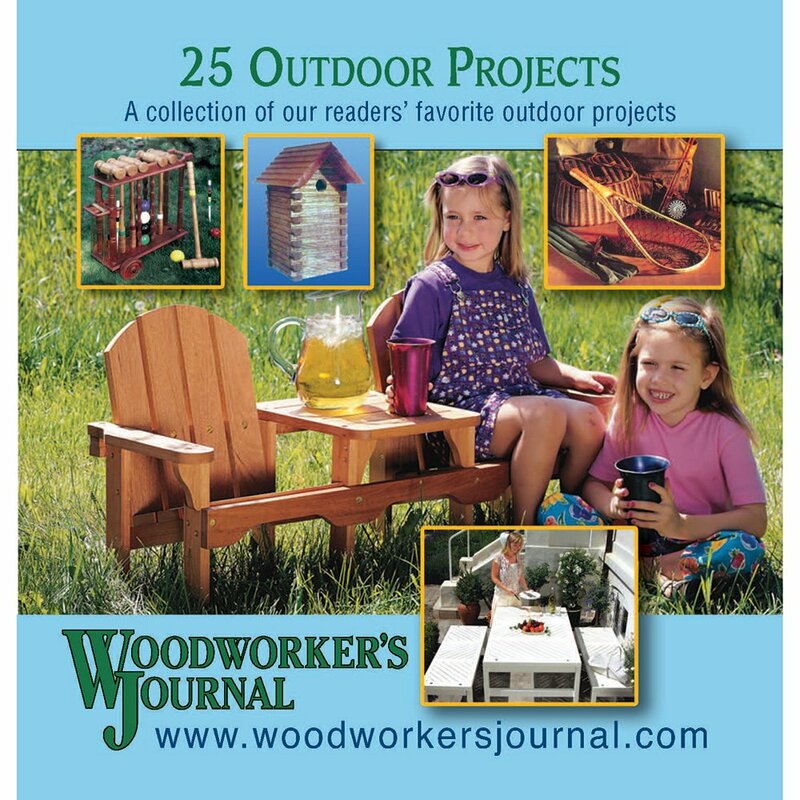 The jig is shown here and will be explained in detail in the next issue of the Woodworker’s Journal. The lid hinge is another issue. Being set on beveled edges of 1/2″ thick stock means the screws have very little wood to bite. The hinge mounting screws must be cut shorter to about 1/4″ long to avoid penetrating through the outside of the box. Although a 1-1/2″ wide piano hinge is rather large for a small box like this, its screw mounting holes are further from the hinge barrel than on narrower piano hinges, and this a benefit. I keep thinking there’s a better, more demure hinge solution, but I’ve yet to find one. The brass inlay was another problem to tackle. It’s designed to be pressure fit into a 1/8″ wide x 1/32″ deep groove. This is fine on a larger project were it could be hammered in its groove. But on a small piece like this, it would be too easy to break the joints by “banging” on the box. I routed the inlay grooves a smidgeon wider so I could press the inlays in by hand with minimal pressure, and I glued them down with CA (Cyanoacrylate) adhesive. Figure 1: Use a table saw to rip the box’s front and back from the ash blank. Make the blank (piece 1) that the lid, lid front, back and ends (pieces 2, 3, 4 and 5) will be cut from (see Figure 1, Ash Blank Layout). Rip the lid front and box back from the blank. Use a band saw to rough-cut away the waste pieces from the ripped pieces, and separate the box ends and lid from the center section of the blank. 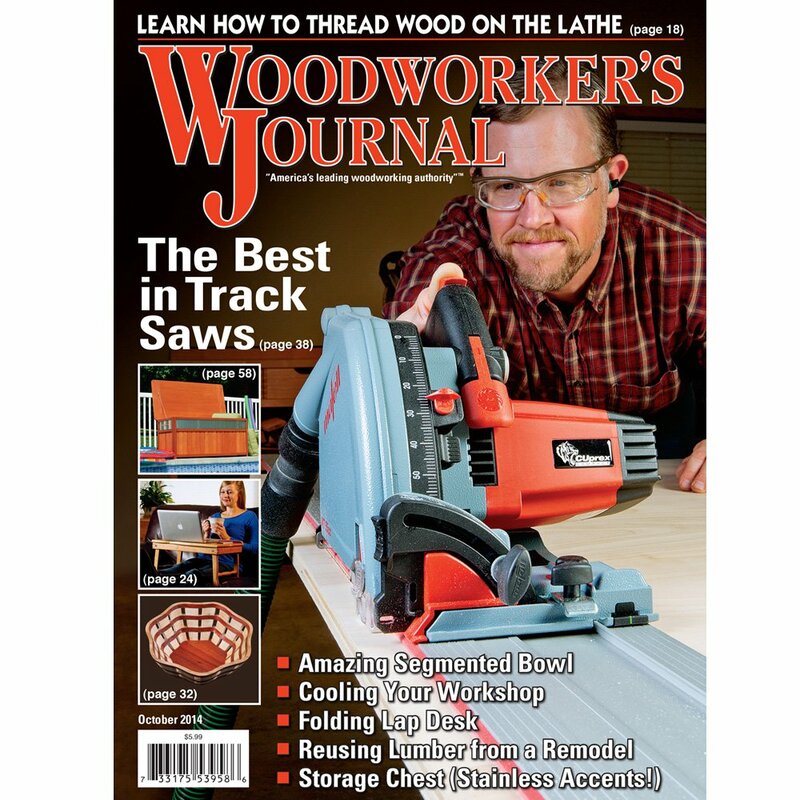 Set your band saw to 45° and rough cut the mitered crosscut ends. This helps to greatly reduce burning when you final cut them later. The beveled with-the-grain edges can be left 90° for now. Figure 2: Rough cut the crosscuts at 90° using a band saw. This is safer than a chop saw or table saw. Make a small parts mitering jig like the one shown here. 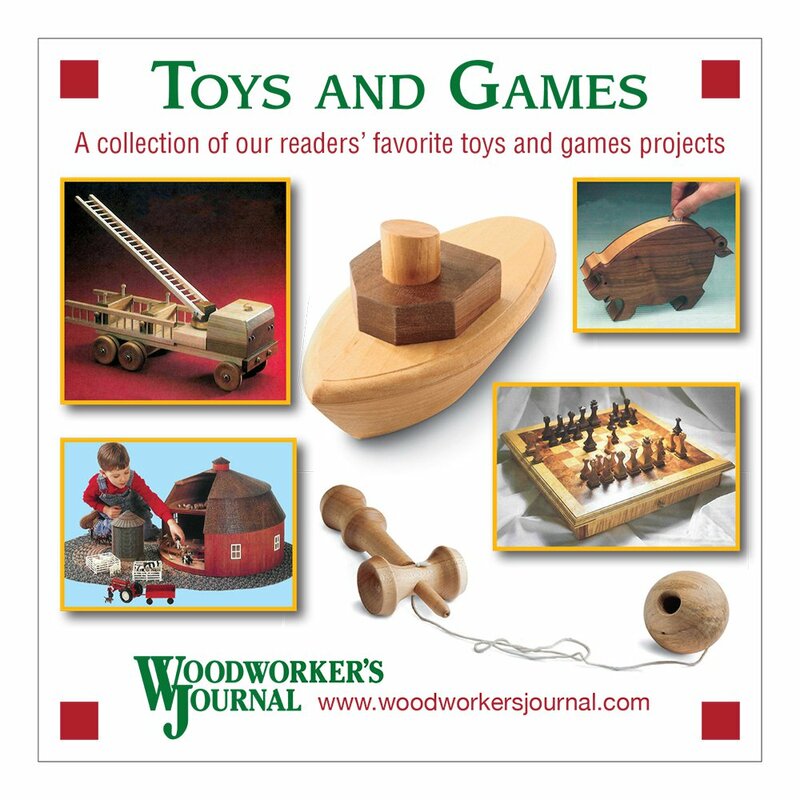 Complete instructions for building this jig will appear in the next issue of the Woodworker’s Journal. The jig is very flexible with the use of T-tracks and hold-downs. 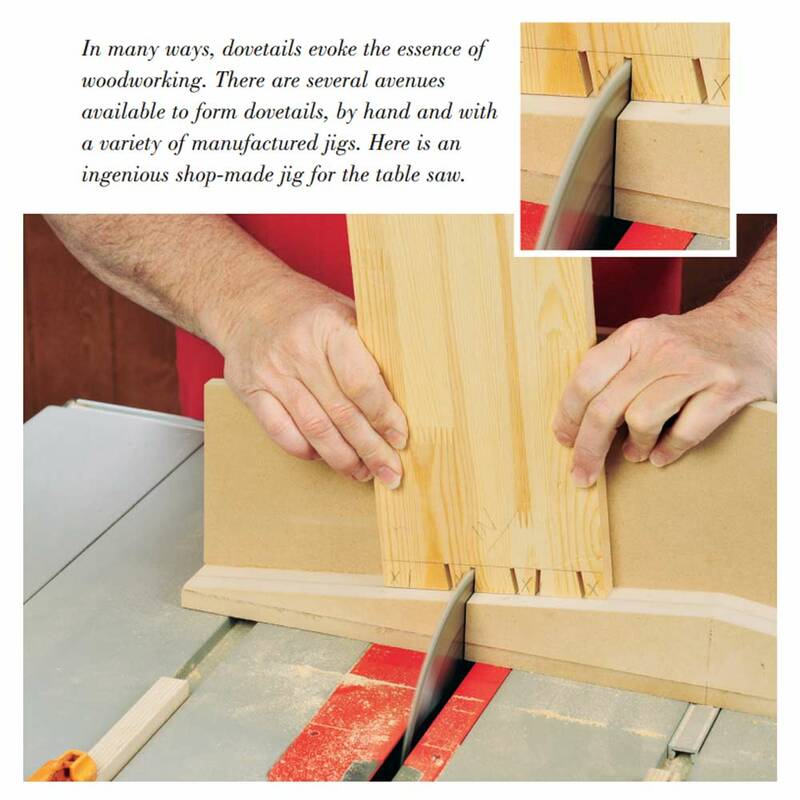 It allows you to set your table saw blade at 90° while you cut the mitered and beveled edges of the valet parts. 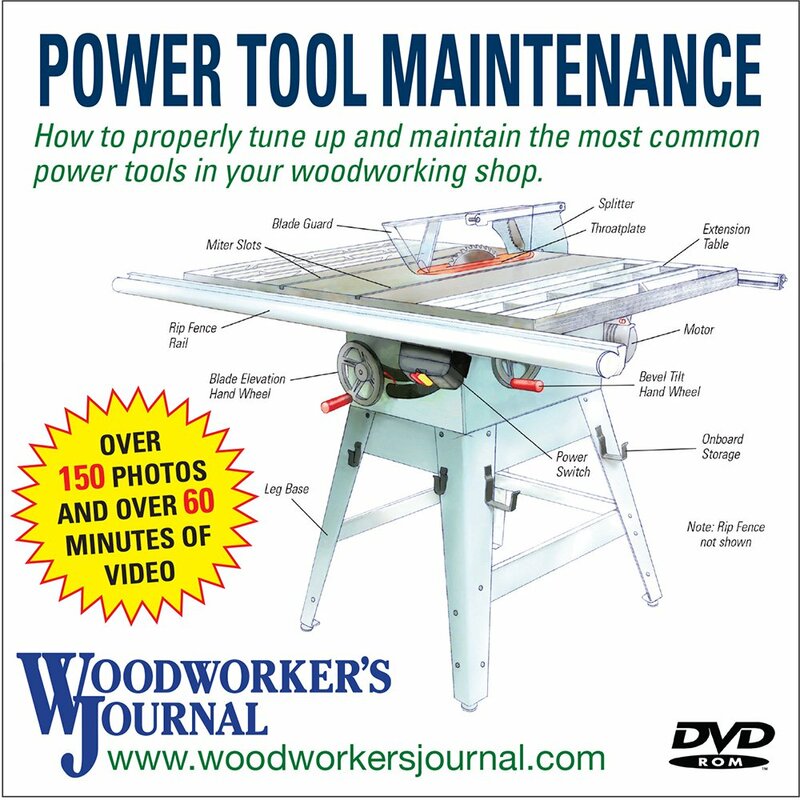 An 18″ adjustable miter bar is used to guide the jig in the table saw’s miter slot. I tested all of my saw blades and found that a new cutoff blade (typically used with a miter saw) worked best with no burning. All of my other saw blades burnt the wood to some degree. I found that if I used a very fast feed rate with those blades, I could minimize the amount of burn. Figure 3: Rough cut the 45° mitered ends of the box parts. Leave a little bit of wood to get cleaned up later on the table saw. Using the jig, crosscut the mitered ends of the lid, lid front, box back, and box ends. When cutting the ends of the lid, lid front and box back, mount a fence to the jig to define 90° to the blade. This also helps reduce tear out at the ends of the cuts. Clamp on a stop for repetitive cutting of lengths. Set the fence parallel to the saw blade when cutting the crosscut mitered edges of the box end pieces. Use the same procedures and cut the beveled with-the-grain edges on the box parts. Figure 4: A small parts mitering jig and a super sharp cutoff blade are used to final cut the box’s 45° mitered ends and beveled edges. Cut the front (piece 6) to it’s finished size. Layout and drill the dowel holes that join the front to the box ends. I used a self-centering doweling jig that drills 1/4″ dia. holes 3/4″ apart for the dowel holes in the front piece. I carefully laid out the centers of the dowel holes in the box ends, and drilled them using my drill press. Remove the miter bar from the small parts mitering jig. Use the jig to support the box back (piece 4) while you rout the hinge mortise using a 1/2″ dia straight bit. Set stops to control the length of the hinge mortise. Test your setup on scrap wood. The depth of the mortise must be equal to the total thickness of the hinge when closed (measure the hinge barrel). Note, there is no hinge mortise cut in the lid. Figure 5: The jig serves double duty to support the box’s back as the hinge mortise is routed using a router table, fence stops, and a straight bit. Fabricate the handle and coin trough (pieces 7 and 10) (see Handle Template). 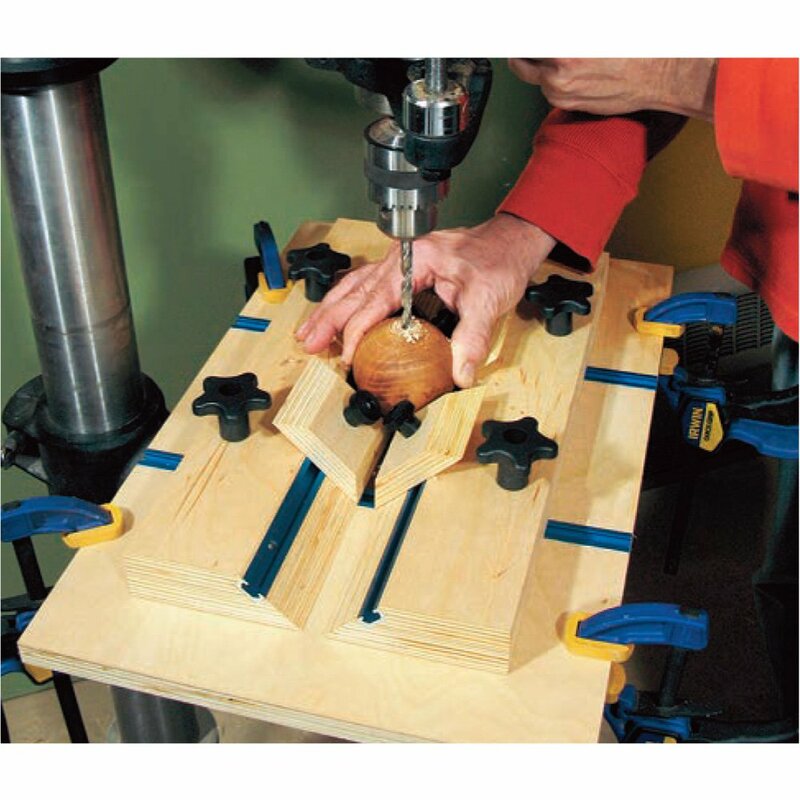 Cut the groove in the coin trough using a 1″ dia core box router bit. Do this on a 12″ long work piece for safer routing. 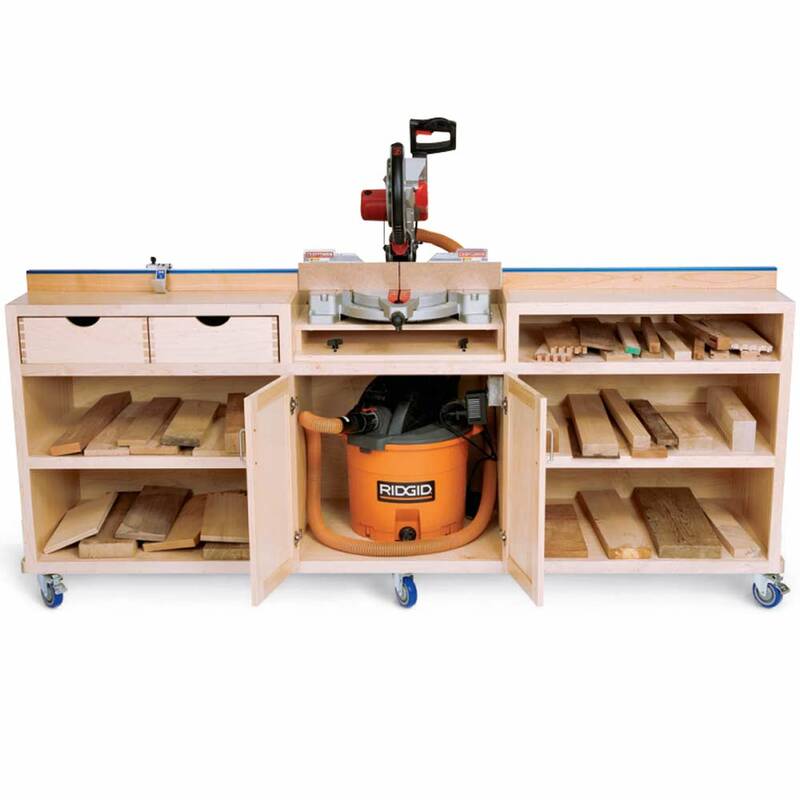 Use your router table with hold-ins and hold-downs. Make many passes slowly increasing the depth of the cut to 1/2″. Use a push stick and be careful, the work piece gets kicked a bit when it exits the cut. When you’re done cutting the groove, cut the coin trough to its finished length. Finish sand the exposed surfaces of the front (piece 6) and the inside faces of the other box parts. Figure 6: Glue the lid front and lid together. Masking tape works great for mitered joints that would be otherwise hard to clamp. Dry fit (no glue) the box back, front and box ends together (pieces 4, 5 and 6). Use masking tape to hold the rear mitered corners together. Set the lid and lid front in place, and check that everything fits well. Make any necessary adjustments. Then glue the box back, front and box ends together. Figure 7: Rout the brass inlay grooves. The lid and box are temporarily joined with masking tape. 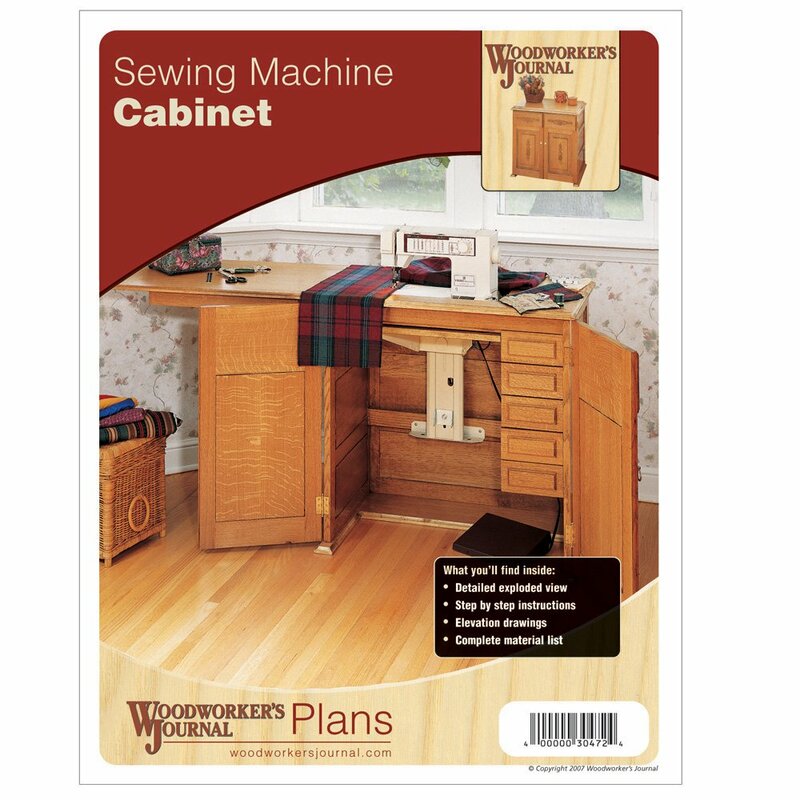 The router table fence guides the box, and a miter gauge is used for support. Glue the lid front to the lid (pieces 2 and 3). Use masking tape to hold the parts together as the glue dries. Make sure the joint is square. Rout the brass inlay grooves. Temporarily adhere the lid to the box using masking tape. Mount an 1/8″ dia. straight router bit in your router table. Set the depth of the cut to 1/32″, and set the router table’s fence to the appropriate distance to cut the cross grain inlay grooves. Support the box with a miter gauge as you rout the grooves. Adjust the fence and make a second pass to slightly widen the grooves so the inlay pieces will go in easier. Change the fence setting to do the with-the-grain inlay grooves, and rout them. Test all of your setups on scrap wood first. Figure 8: The bottom’s rabbet is routed using a large auxiliary router base plate for support. Make this cut using several passes to reach the final depth. Rout the bottom’s rabbet in the assembled box. Mount a large auxiliary base plate to the base of your router. This will support the router by bridging the base across the entire box. Use a 5/16″ wide rabbetting bit and make several increasingly deeper cuts until you reach the final depth of 5/16″. Attach the handle to the assembled lid, and then mount the lid. This step is tricky. Here’s how I did it: I screwed the piano hinge to the box so the hinge’s barrel was completely hanging over the rear of the box. Opening the hinge and laying the lid flap so it touches the box helps align it parallel. This hinge position leaves very little room for the depth of the screws. I used a hacksaw to shorten the screws to about 1/4″ long. I drilled shallow pilot holes for #4 screws, and then I carefully inserted the screws watching to be sure none penetrated through the rear of the box. This was very scary, but it worked! Then came attaching the lid hinge flap to the lid. How can I do that so the lid aligns properly? I tried adhering double stick carpet tape to the hinge flap and pressing the lid in place. My hope was that it would hold well enough so I could align and open the lid to drill the screw pilot holes, but it didn’t hold. Then I tried a couple of dabs of hot glue. That held, but the hinge flap was misaligned due to the thickness of the hot glue. Then I remembered I had some super sticky peel and stick tape call SpeedTape made by FastCap. I tried that, and success, maybe too good. I used one long piece of SpeedTape, and it actually stuck too well and it was hard to get the hinge off of the lid! I suggest you use a couple of short pieces. Once the hinge and lid are aligned, drill the pilot holes, shorten the screws and insert them with light pressure. Then remove the hinge to prepare for staining and finishing. 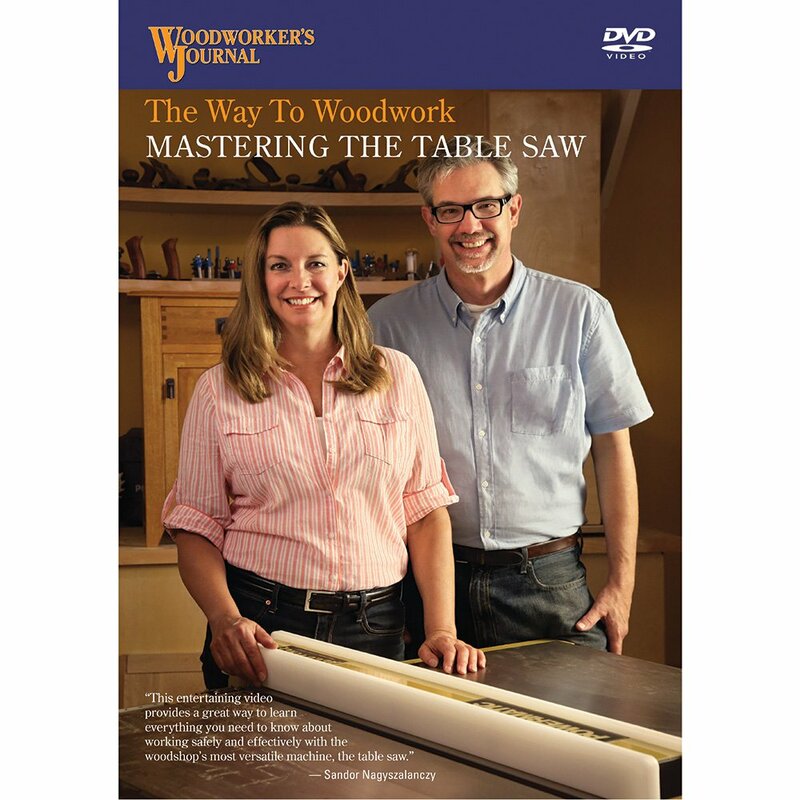 In the author’s shop, sanding is the first step in the finishing process. Remember, orbital sanders leave swirl marks, so a final hand sanding with the grain should occur right before applying stain. This valet is a good opportunity to hone your finishing skills. As a peer of mine once said, “I spend a hundred hours building a fine piece, then in less than one hour I mess it up applying finish.” This does not need to be the case if you do your homework first. The key to success is to make test samples, more samples and even more samples. Know exactly what finish and stain you’re going to use, and how you’ll apply it, beforehand. Using your project as a testing ground is a huge mistake – but one we’ve all made. Carefully mask off the wood where light-color stain will be applied so that when you apply the dark stain, it won’t bleed onto those areas. Trim off excess painter’s tape with a hobby knife. Here’s how I approached staining and finishing the valet: I had pretty much decided on a maple color stain for the light areas, but I vacillated on the darker complementing stain. I picked an early American color and a red mahogany to test. I started by making an ash sample board, which I orbital-sanded to 220-grit. I divided the length in thirds and applied the three stain colors (see top photo). I let them dry 24 hours, divided the width in thirds, and applied three sample finishes (satin wipe-on poly, gloss wipe-on poly and gloss spray-on lacquer). The results showed that my maple color stain was a good choice, the early American color stain was not the color I wanted for the dark areas, the red mahogany color stain was good but too light, and the finishes were all fine. I noticed sanding swirl marks in the darker stains (which is typical), so I knew I needed to straight-line hand sand prior to staining. 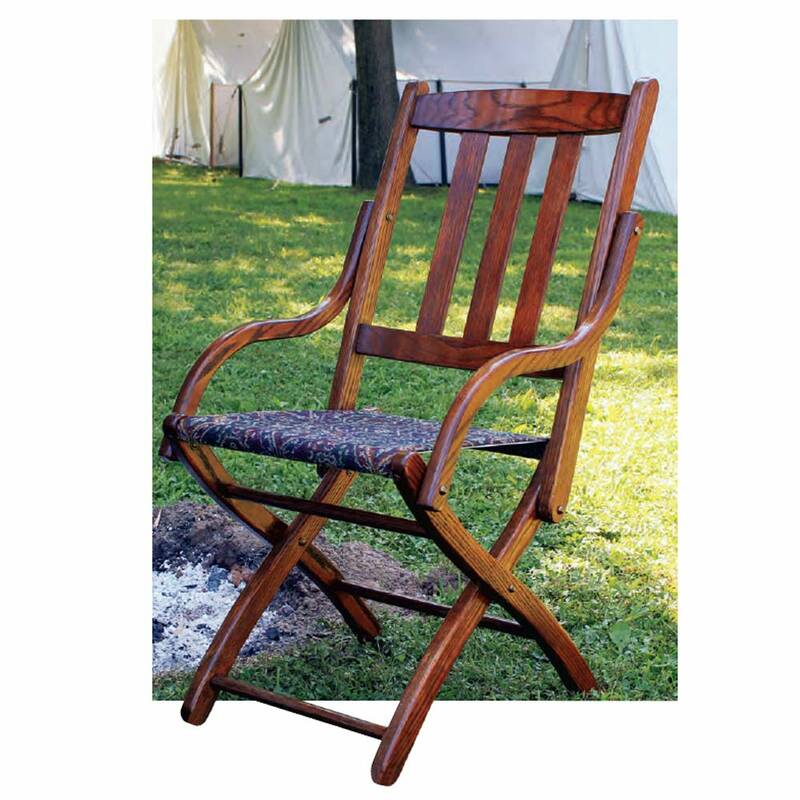 I also know from experience that straight-line hand sanding produces darker staining results because it opens the grain more than orbital sanding with fine grits, and coarser grit hand sanding will make even darker results. I made more samples. This time, I orbital sanded to 220-grit, hand sanded with 150-grit and then 180-grit. I applied two coats of the red mahogany color stain, applied the lacquer, and that gave me the results I wanted. I made another sample to be sure the maple color stain would still be good for the light areas, and it proved to be spot on. Apply the dark stain with a high quality natural bristle brush. The author used a 1″ badger brush, and it worked very well. Even though all the finishes looked good, I decided to use the spray-on lacquer for a few reasons. It was very easy to apply, and it would be easy to get it into the nooks and crannies of the small valet. It dried relatively fast, had a nice build and sheen and was easy to sand and recoat. I feared wiping on a finish could drag some of the dark stain onto the light stain and mess up my hard work. Gently wipe off the stain with a soft, lint-free cloth. Wipe with the grain. Dark stains are often hard to wipe evenly. Light strokes, and many of them, will help to evenly blend the stain. 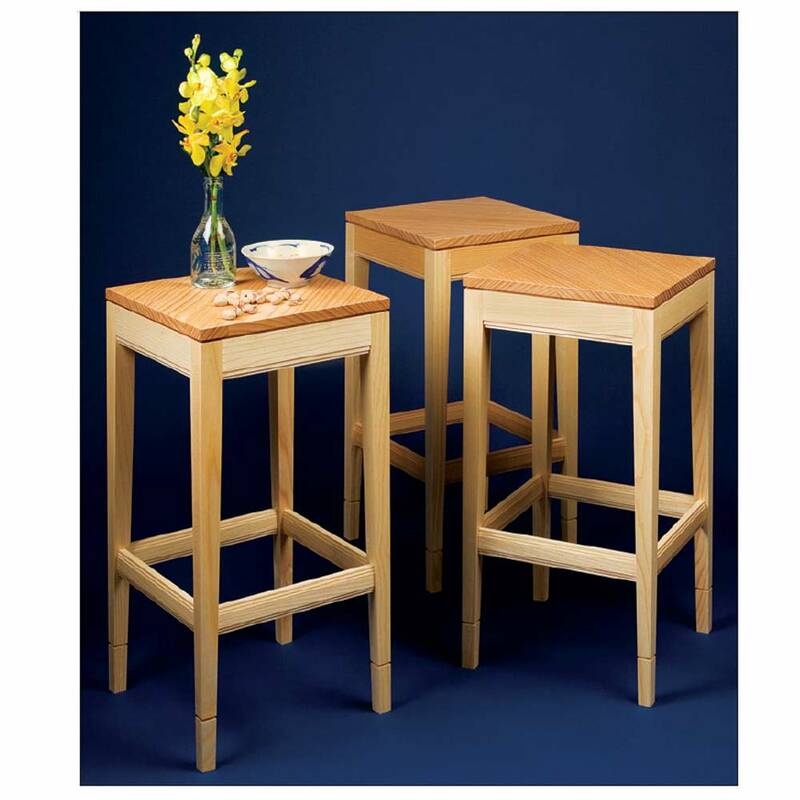 Apply the light-color stain after the dark color stain has completely dried – wait at least 24 hours. Mask off the dark areas before applying the light color stain. Allow the light-colored stain to dry. Follow the staining and finishing steps in the photos. Be very careful when you apply the stain so as not to smear it on the inside of the valet, which is intentionally left unstained. Also be very careful when sanding between the coats of finish. It’s surprisingly easy to sand through the finish and remove the stain, especially on edges. With dark stains, this really glares out. 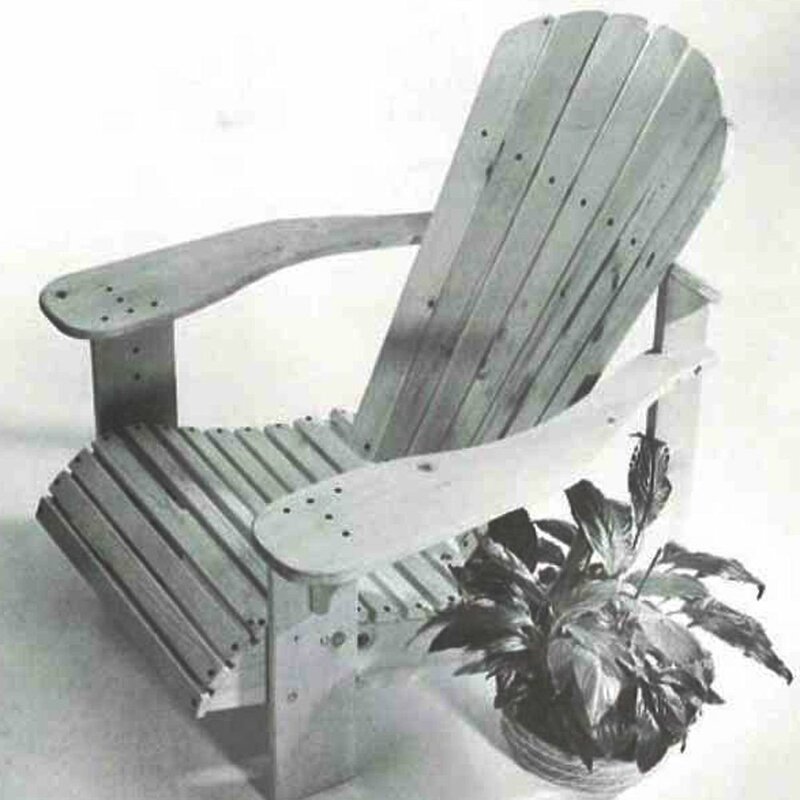 To avoid this problem, apply two light coats of finish without sanding between them. Use 320-grit sandpaper to gently remove any nibs in the second coat of finish. Then use an ultra-fine 3M Scotch-Brite® pad (or #0000 steel wool) to smooth the finish. Remove all dust, and then apply a third and final coat of lacquer. You’ll end up with a fine project!